Faster-than-light neutrinos mean Einstein is wrong! 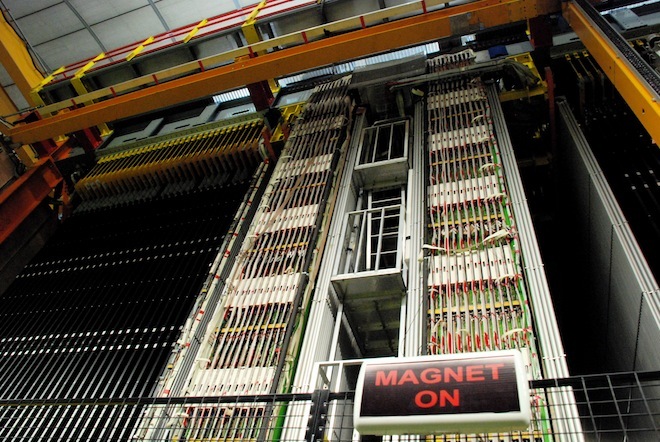 At least, that’s what some popular press articles have suggested since researchers with the OPERA experiment in Italy presented evidence of neutrinos arriving 60 nanoseconds earlier than thought possible. But scientists, quite intrigued by the anomalous results, have since been busy generating more measured responses. In the three weeks after the announcement, more than 80 explanations have been posted to the preprint server arxiv. While some suggest the possibility of new physics, such as neutrinos that are traveling through extra dimensions or neutrinos at particular energies traveling faster than light, many offer less revolutionary explanations for the OPERA experiment. Other scientists have taken the faster-than-light results to task using the Standard Model of physics, which describes all known subatomic particles and their interactions. According to the Standard Model, neutrinos at sufficiently high energies should produce a virtual electron-positron pair through a process known at Cohen-Glashow emission. As explained in a paper by Nobel laureate Sheldon Glashow and his colleagues, these emanations would have sapped energy from the faster-than-light neutrinos, causing them to slow down. Ultimately, it will take a great deal more time and scholarship before the physics community settles on the true explanation for the OPERA results. Until then, vigorous debate is likely to continue.